As we hurtle towards Christmas I am once again left wondering where the time has gone! 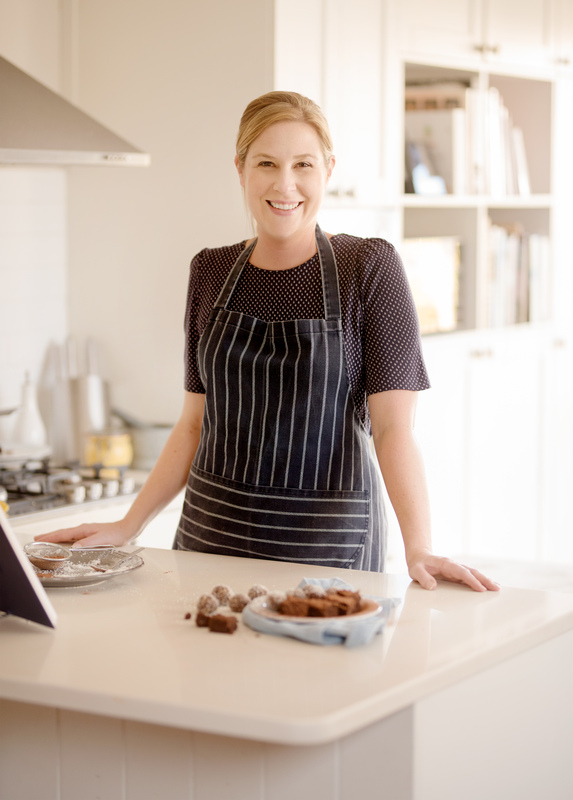 I always love spending time in my kitchen at this time of the year – preparing food for friends or edible gifts for the family. This time last year I was preparing to host a big family Christmas feast, but this year will be a lot more low-key. As I reflect back on life’s journey over the last 12 months I can say that overall it has been an exciting year. I have learnt many lessons, but the one thing that I have been reminded of over and over again is that time is precious and life is short. You never know what is waiting around the corner, and I am grateful for all the happy moments and wonderful opportunities that I have had in 2014, not to mention the special people I have shared them with. I plan to continue this practice of gratitude into 2015. And on a lighter note… CHEESE! I thought this would be an appropriate recipe as we are in the middle of party season. 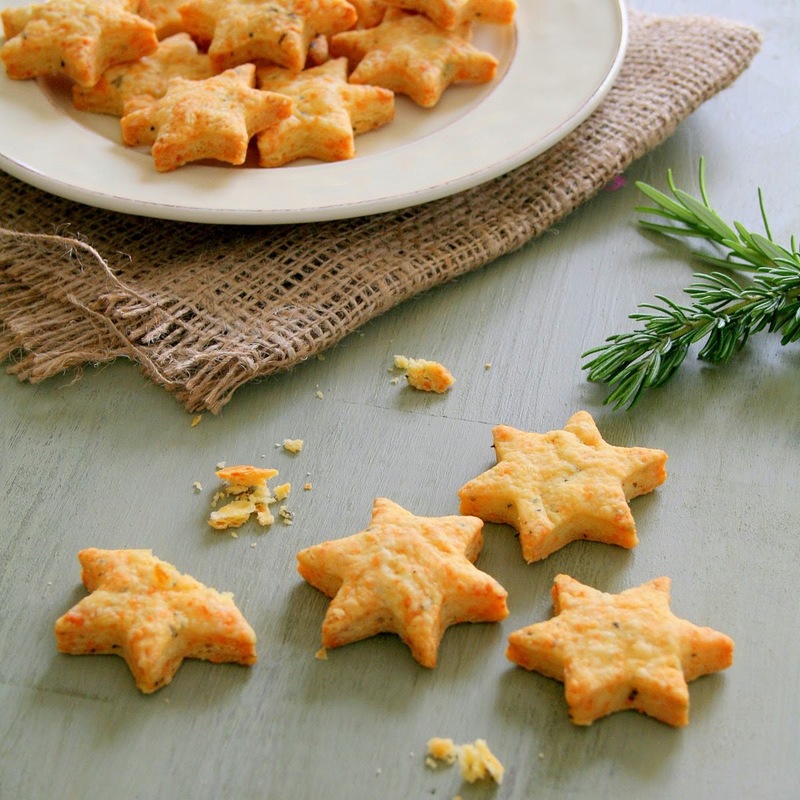 These cheese stars are great for snacking, picnics or popping on the table when you have guests around for drinks. Why not pop them in a bag and tie up with gorgeous ribbon for the perfect home made gourmet gift. 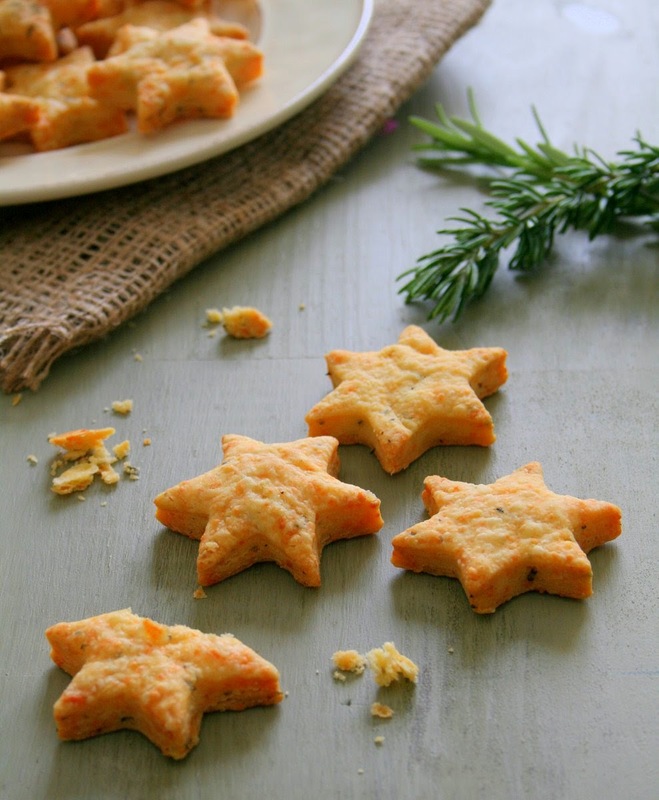 Warning:these biscuits are extremely moreish, you may not want to share them! 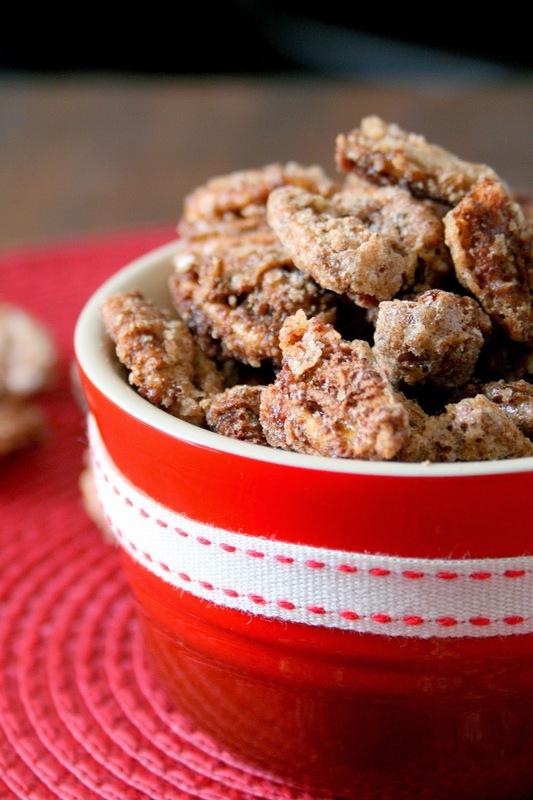 If you are looking for festive snacking ideas why not try these equally divine Sugar and spice Christmas pecans? 1.) Place the flour, mustard powder and cayene pepper in a bowl and mix. Add the cubed butter and rub into the flour using your fingertips, until the mixture resembles fine breadcrumbs. 2.) 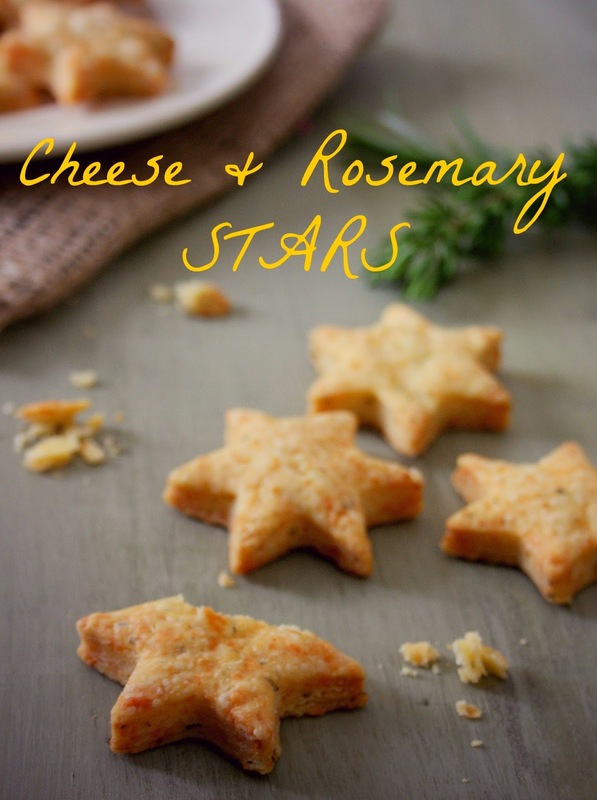 Stir in the grated cheddar, parmesan and rosemary. Add the egg yolk and water and use a knife to cut these into the dry ingredients until the mixture starts to clump together. Then use your hands to press the ingredients into a ball. 3.) Flatten the dough into a disc, wrap in plastic wrap and refrigerate for 1 hour. Preheat your oven to 180°C and line a baking tray with baking paper. Lightly dust your work surface with flour and roll the dough out to a thickness of 3-5mm. 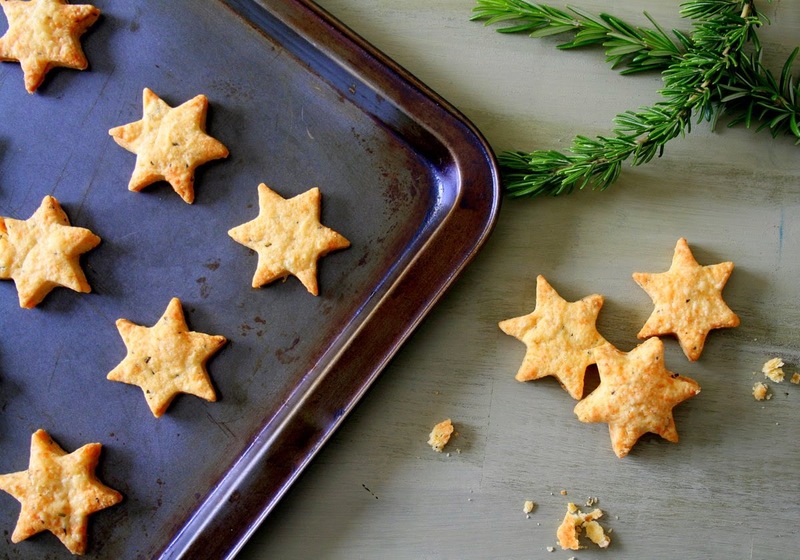 Use a floured star cutter to cut out the stars and arrange these on the baking tray. 4.) Pop the tray in the oven for 16-18 minutes, until the biscuits are puffed up and golden. Allow to cool, then serve.